There is something undeniably satisfying in the art of embossing! Embossing makes things more beautiful than they originally are. The simplest of object can become pieces of art worthy of the highest praise by using a technique as easy as embossing. 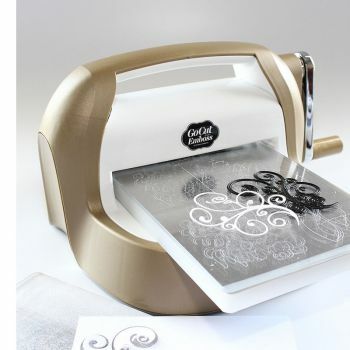 Embossing Machines are fun to use and open up a whole new world to getting creative! Click here to take a look at our huge selection of Embossing Folders. Need inspiration for your next craft, card making or scrapbooking project? Look no further, simply click here!